The other day I posted about a meteor over New Zealand. It appears to have been Russian space junk. It was an astronomically exciting weekend for stargazers – people from around the North Island witnessed a possible meteor or space junk sighting about 9pm on Saturday. The rare event tore across the sky above the Sri Lanka versus New Zealand cricket match at Bay Oval, Mount Maunganui. 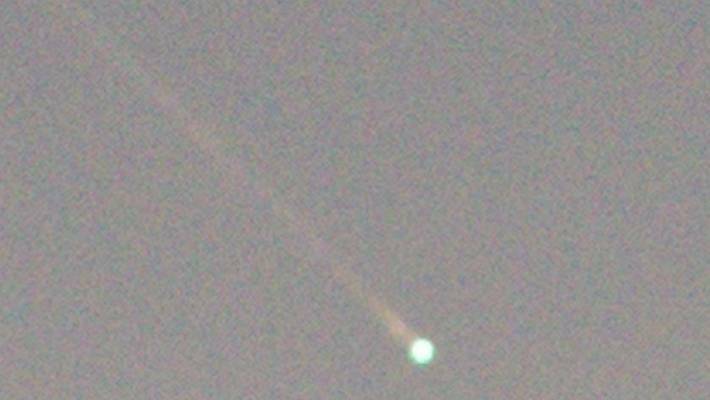 Footage from the match captured several pieces moving in a bright cluster, breaking up before being swallowed into the dark of the night sky. Aficionados were quick to dispel theories it was a meteor, claiming it was more likely to be space junk. But what was it? Experts have named a Russian military satellite – Kosmos 2430, a satellite launched in 2007 as part of Russia’s Oko space programme – as the most likely object that lit up the sky. While some satellites stay above the same spot on Earth, Kosmos 2430 orbited an area above the northern hemisphere giving it time to look over the United States. Its entire orbit would take about 12 hours. As ships, stations, and other satellites come crashing down to Earth, many end up making planet-fall at the same spot in the Pacific Ocean just south of New Zealand, according to Atlas Obscura. For years these downed science vessels have simply sunk down to the bottom of the sea in a place now known as the Spacecraft Cemetery. Next SpaceX Fairing Capture Test — So Close!